I have loved the movie version of The Shining for many years, though I know Stephen King really doesn't. It's a classic, and quiet terrifying. This year, I've committed to start reading more of those Stephen King novels that I love the film versions of so much. 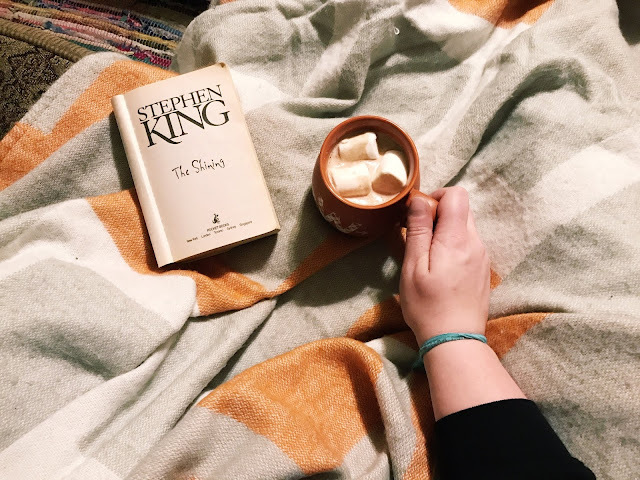 I've got a few others under my belt this year, but The Shining felt like a perfect read since it's one of King's shorter novels and fills one of the POPSUGAR Reading Challenge prompts I've been trying so hard to fulfill, since You mentions not only The Shining, but also the follow-up novel, Dr. Sleep. 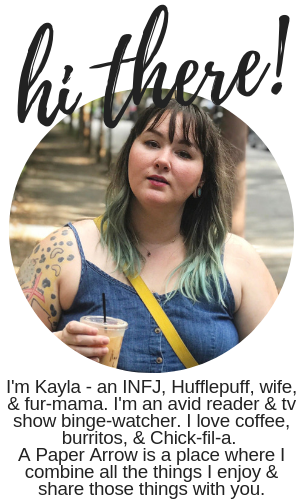 I was fairly certain I'd enjoy the book, but I didn't realize how much. It was fantastic and while missing almost all of the most iconic scenes the movie version is known for, the novel was still insanely creepy and totally haunting. I'm actually rewatching the movie as I type up this review, and while there are definitely some similarities, there are quite a few similarities as well. I was worried the movie would really skew my opinions of the book, because I do love the movie and Jack Nicholson. But now that I'm re-watching it, I do wish they wouldn't have made Danny and his Tony voice so freaking creepy - the kid is just not that creepy in the book. Fun fact: Jack is played by Jack Nicholson, and Danny is played by a kid named Danny. Weird, right? The novel went into a great explanation of what "the shining" actually is, which was fantastic and I really enjoyed the imagery, as I typically do with Stephen King novels. Some of my favorite parts of the novel were getting all the background information about the Overlook and all the different things that had happened over the decades. It was really interesting, and I was intrigued over every page. The novel was a bit of a slow burn at first, but once it got into it, everything was quite frightening. I will say, though, not to expect things to "pop" quite like they do in the movie. One of the pieces that was most frightening to me wasn't in the movie and it's still haunting me a week later. I'll mostly say it involves a man in a costume. Anyways, I still love both and probably pretty equally, but I'm glad I've now experienced the book and the film. It doesn't get much better than Jack Nicholson's creepiness, though.